Our eighth ‘Finn’ bottling is quite simply the finest wine we have ever grown and produced. There is a level of concentration without heaviness that these vineyards have vividly expressed and which typifies this wonderful vintage. An identical blend to the highly successful 2006 bottling, we knew that some potentially remarkable components were in barrel soon after the harvest dust had settled. The synergy between these three component parts was unprecedented even for this bottling and as they were gently blended the following spring, they immediately brought out the best in each other and took the wine to a different level of complexity. A word of caution however, this is not an easy, accessible and fruity Pinot Noir. Rather, it has the density and youthfully backward tautness of the finest wines and will not reach the beginning stages of its maturity for at least three years following release. 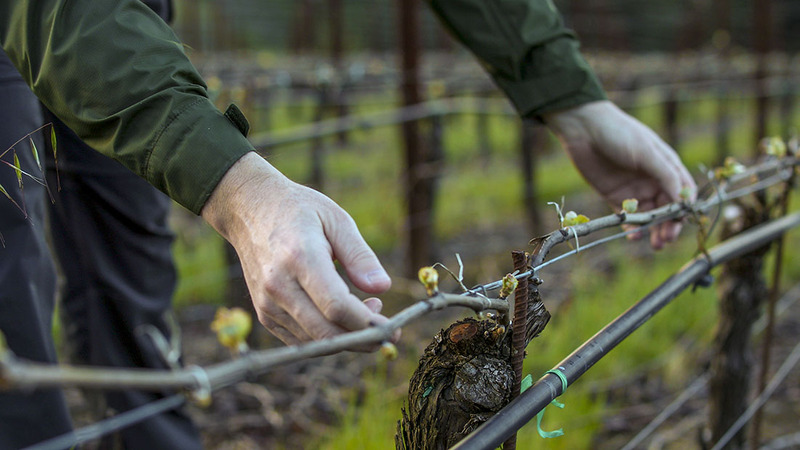 Predominantly grown on clay-based soils, the natural tannin structure is full, rich and dominant and the mix of heritage clones produced flavors that are the antithesis of sweet and fruity Californian Pinot. Yes, there is sweetness present, but it is a sweetness of vine extract borne out of low yields, great farming and precise harvesting at optimum maturity. I am confident that the rewards will be great for those who cellar this wine beyond 2014. Very deep ruby color. Dark complex aromas of spice cake, cedar and meat give way to deep kirsch, violet and allspice. Unevolved and taut palate entry of rich dark fruits, underbrush and game flavors. With air, brighter, fresher red fruits emerge: red currant and rhubarb with floral notes. The back end is youthfully dense, concentrated and backward, almost tense. Richly tannic yet vibrant and lingering crunchy fruit on the lengthy finish. Drink between 2012 and 2020.